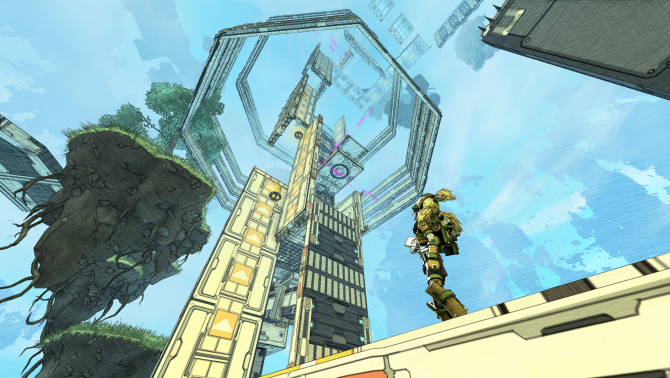 For those that don’t know: Super Cloudbuilt is a frenetic sci-fi parkour platformer that is scheduled to hit PS4 and Xbox One (and Windows 10) sometime this summer. 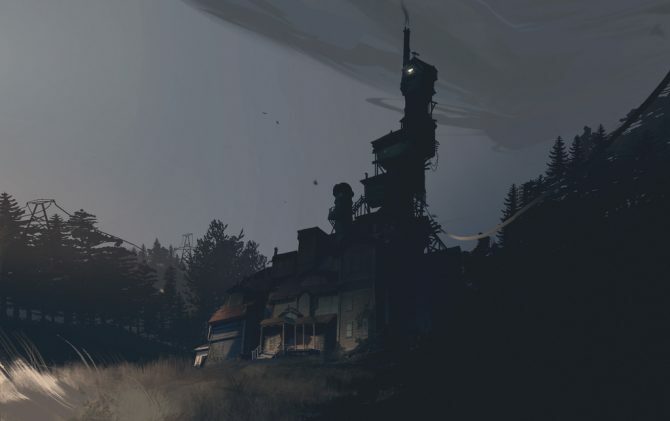 The game first emerged onto the scene back in 2014, when it launched for PC. According to Coilworks and Double Eleven, the console version of the game has been remastered, and been reevaluated from the game from the base mechanics. The result — essentially — is a definitive edition of the game. 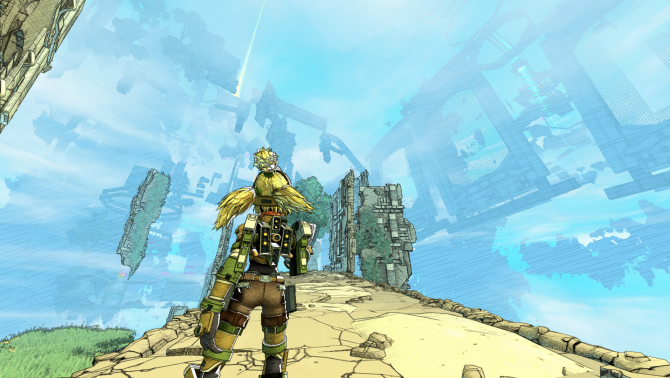 Super Cloudbuilt puts you in the role of Demi, a young soldier who wakes up in the empty shell of a ruined building, in the center of a strange new world, disconnected from her old life and physical body. Confused and isolated, Demi pushes herself physically and mentally to overcome the obstacles of her new reality. 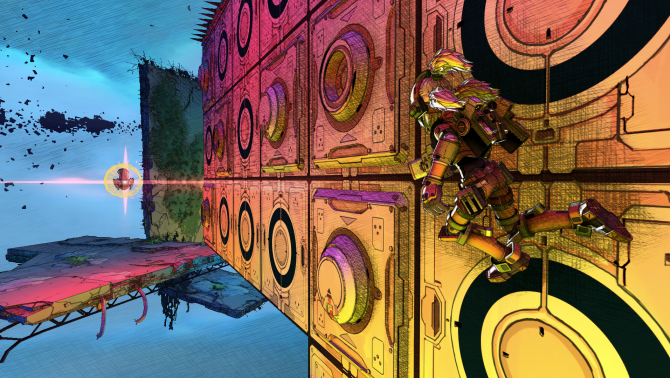 Complete incredible feats of free-running and sharp shooting, using Demi’s rocket-powered exo-suit to leap and run through expansive worlds floating above a vast abyss. With each new challenge she overcomes Demi learns more, pushing her to piece together the future now laid out before her. Demi persists, traversing levels, allowing her to experience multiple endings: will Demi learn to understand and accept her new world, or question her reality and learn to defy it?